James McCauley, 17, of Haverford Township. A Haverford Township teenager was charged with attempted homicide on Wednesday after a classmate of his was shot in the face during a drug deal gone wrong, Delaware County prosecutors said. 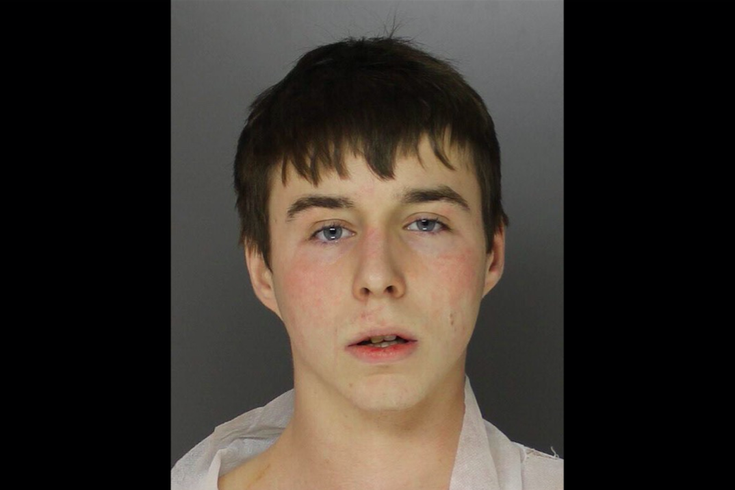 James McCauley, 17, was arrested following an incident Tuesday night in the area of Rose Tree Lane and Glen Gary Drive in Haverford. Authorities responded to the scene shortly after 8 p.m. and discovered an 18-year-old male suffering from a gunshot wound to the right side of his face. The victim was in the middle of the roadway with a pool of blood around his head, prosecutors said. He was immediately transported to a nearby hospital where he remains listed in critical condition. An investigation revealed that the victim and another male arranged to buy an ounce of marijuana for $150 from three other young men, including McCauley, according to prosecutors. When the victim got inside the car to make the transaction, a physical altercation ensued when one of the men in the backseat of the vehicle allegedly became aggressive. Authorities said McCauley pulled out a black semi-automatic pistol and shot the victim in the face. Haverford Township police chief John Viola said McCauley is not cooperating with investigators and that police are still seeking the other two men who arrived with him in the car. Both McCauley and the victim are students at Haverford High School. In addition to the attempted homicide charge, McCauley is charged with aggravated assault, recklessly endangering another person, firearms without a license, possession of an instrument of crime and receiving stolen property. "Over a senseless argument regarding an ounce of marijuana, James McCauley shot the victim at close range in the face, in a residential neighborhood, causing near catastrophic injury to the victim who remains in critical condition," Delaware County District Attorney Katayoun Copeland said in a statement. "The defendant is facing felony charges and has been charged as an adult for his violent conduct. While this is an isolated incidence of violence, we do not tolerate any acts of violence or drug trafficking in our neighborhoods here in Delaware County."